I’m loving these cards! So easy and fun. 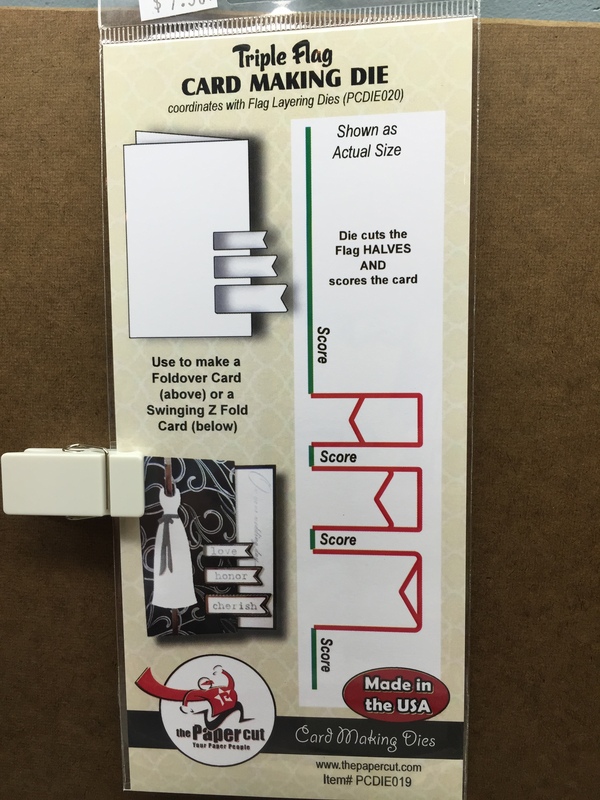 We will have our usual make n take’s in Shakopee MN but we are also adding a make n take station with an instructor doing these cards. It will be $3 a card. 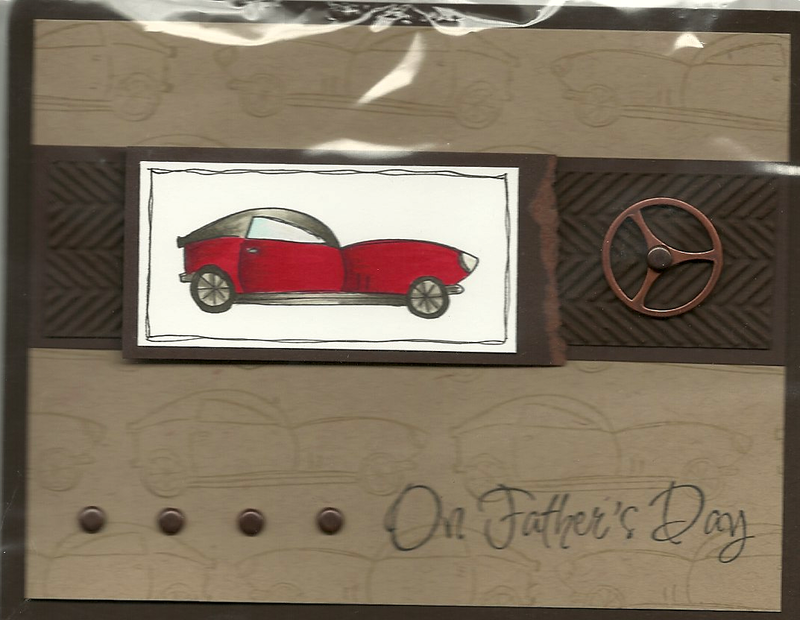 A salute to all the Dads out there. I’m thankful for a great Dad and a husband that is a great Dad! So our floor is coming along nicely but we are still not done! Groan! 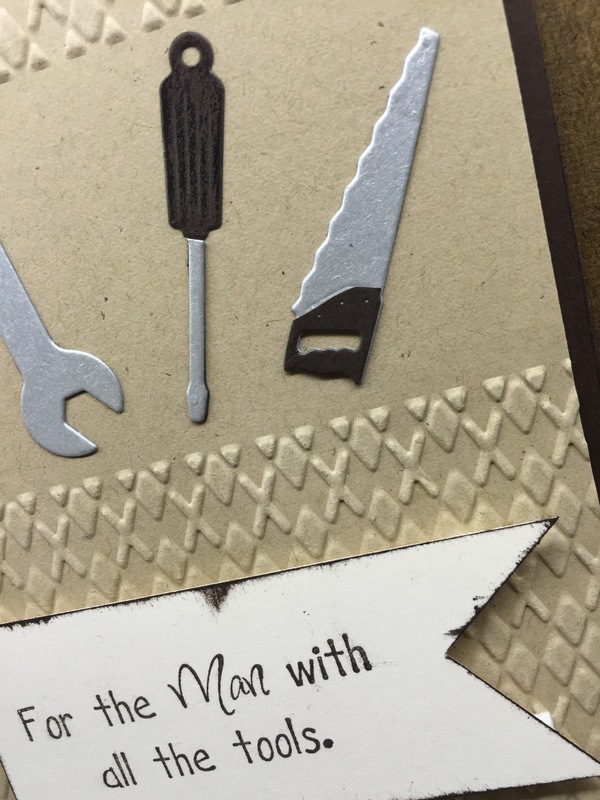 I have been wanting to use the little man tools dies for a long time now and finally got around to it! Hello! 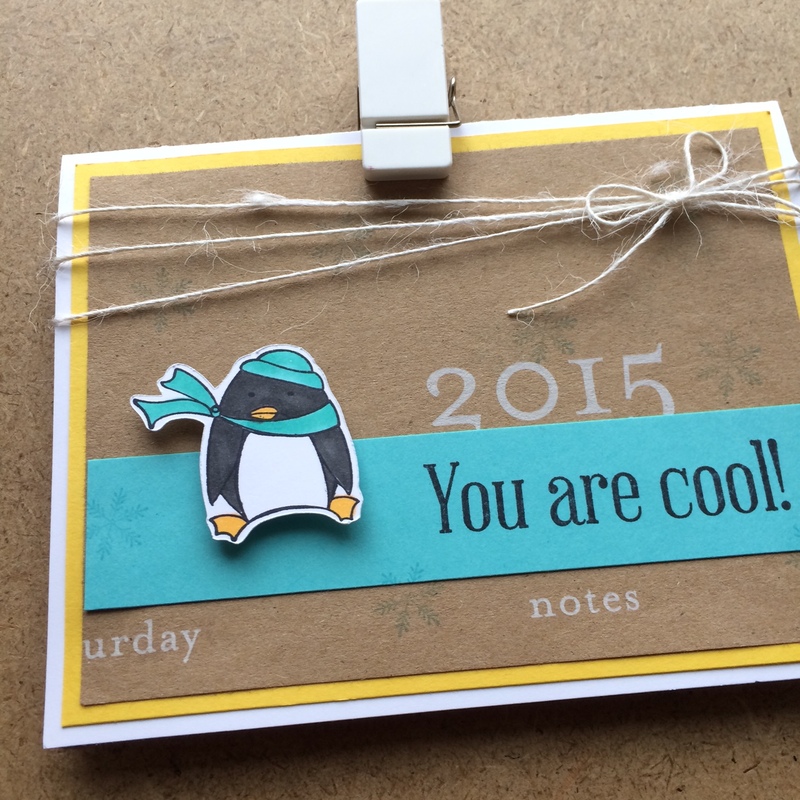 I’m going to try and make this card a make n take card too! 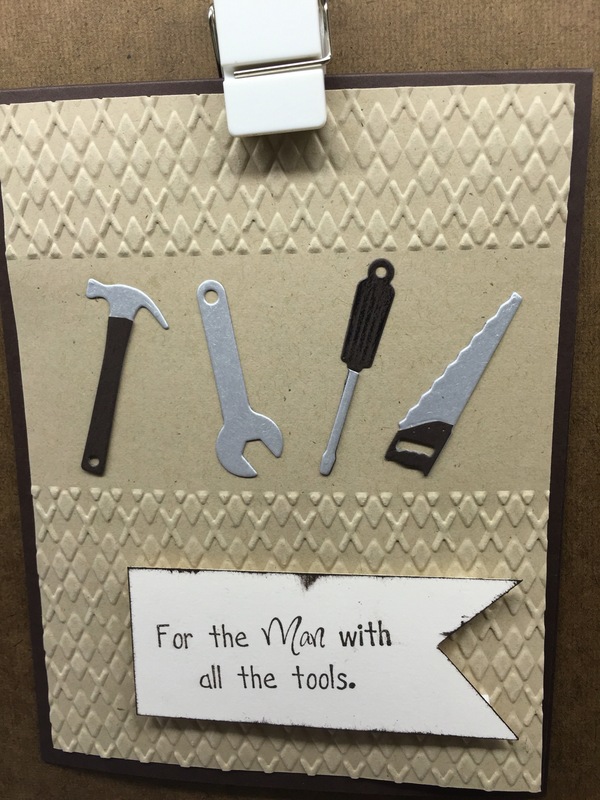 It can do double duty- mans birthday plus Father’s Day. 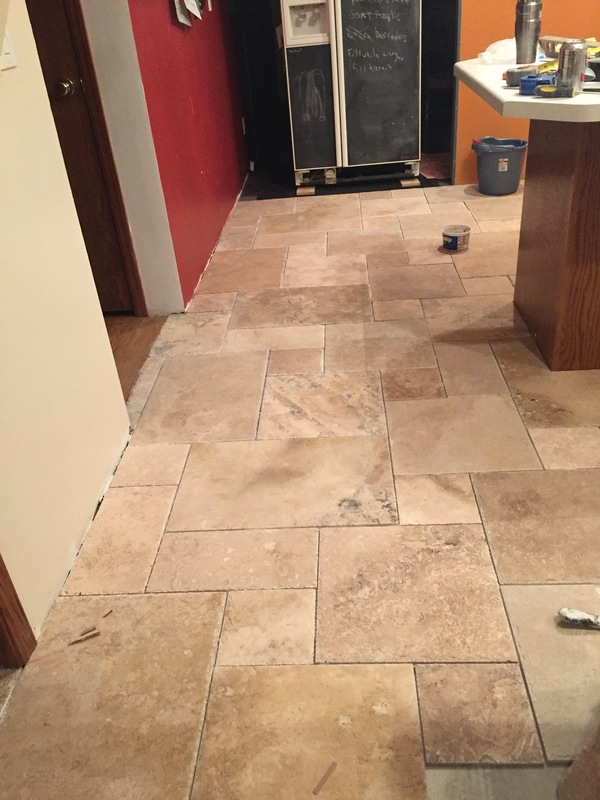 We are just getting ready to lay the warming floors in the kitchen. I’m going to be so warm and happy when this is done😊 Maybe I will have pictures on Monday. Have a great weekend…we have a beautiful fluffy snow day today. The best kind of snow! 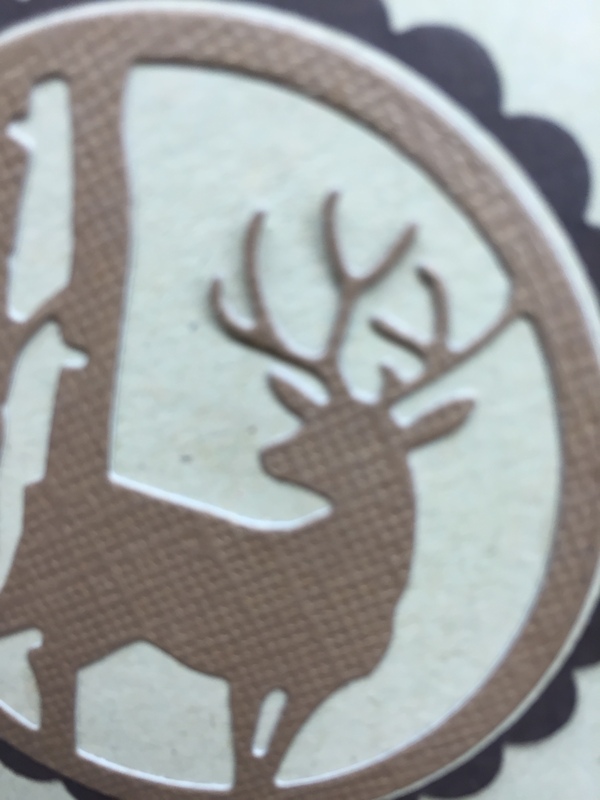 Another Gift Card Holder! 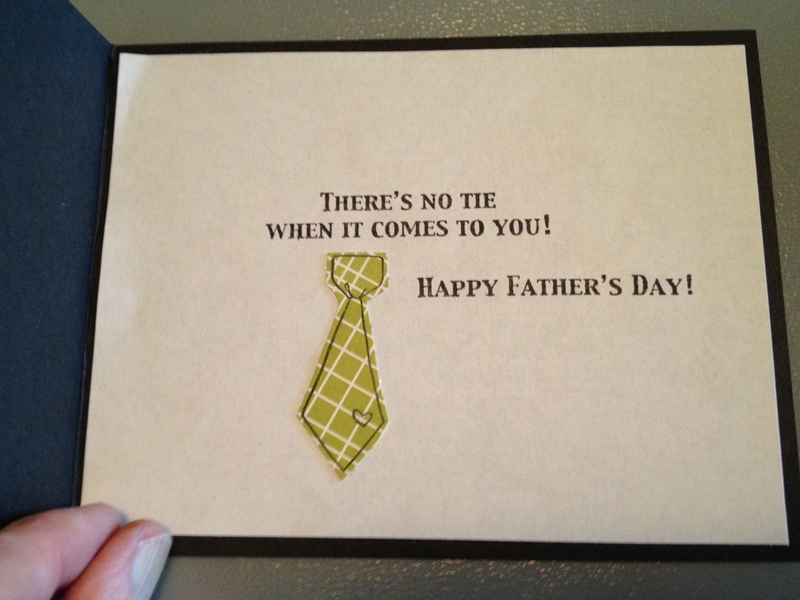 The tie fits so nice on the card. The Triple Flag Die is Here! Hello! I have some good news for those of you who are waiting for the Triple Flag die!? I will be adding it to the website before I go to bed tonight. Good Morning! We had a fabulous time in Sayner, WI this weekend. Now the mad dash to Portland, OR. We leave this afternoon after we frantically make all the stamps we sold out of this weekend. 🙂 it’s good to be busy! 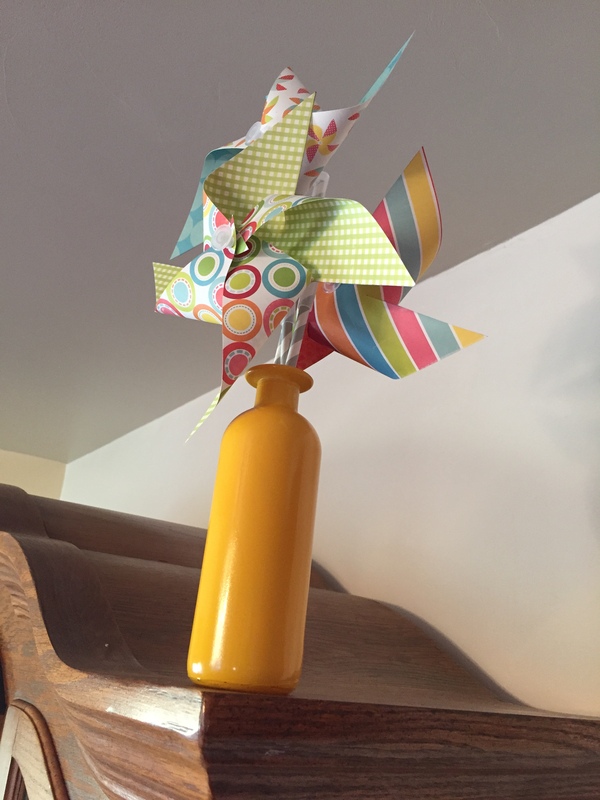 Here is a really cool Pinwheel my sister made me! I love it! It shouts spring/summer is here! 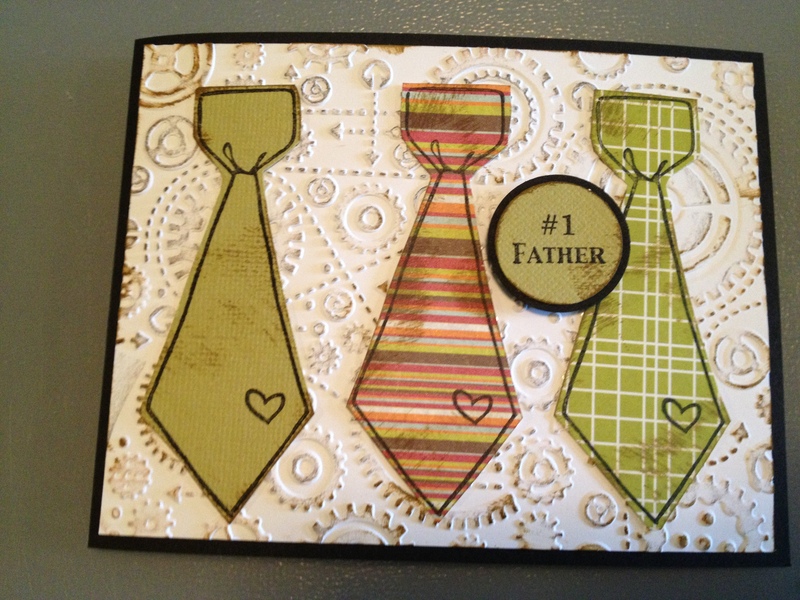 Here’s another card by Michelle for Father’s Day! Love the colors and distressed look! I promise I am working on those studio pics! The current problem is the lights! I bought some really cool looking awesome lights but they don’t give off enough light so the pics look really dark and it’s sorta hard to work in the dark. I didn’t want florescent lights ( way too ugly for a cool studio!) so I wasn’t sure what to do. Yesterday during our travels to find parts for the garage door…I found some track lighting. Kevin has it half up and ran out of light so we had to post pone that for today! So yesterday was a little complicated for me and I forgot to blog! We travelled home after being gone for two weeks! The grass was over grown, the weeds were out of control, the garage door spring broke (hence the cars are stuck in the garage! ), the one truck that was out of the garage had a dead battery, the house was really hot (air conditioner not on), etc… it is a little over whelming to have so much to do that you hardly know where to start! So taking a deep breath and starting with the garage door. My studio needs air conditioning to work in it so that will be next. 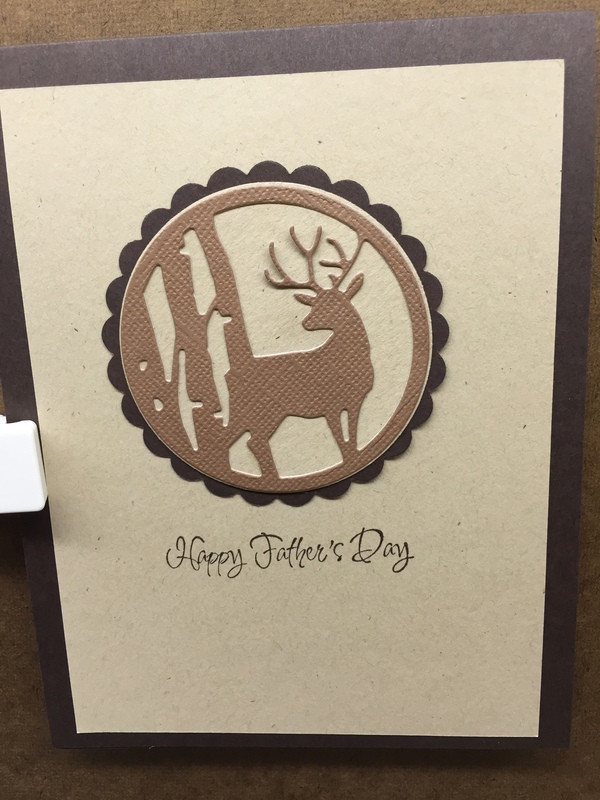 This card was made by one of my designers Michelle. I love it. 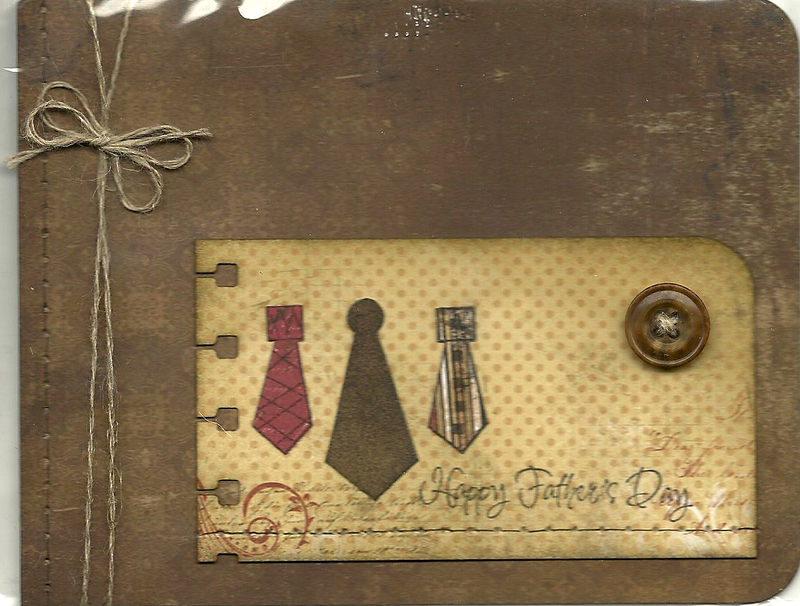 Father’s day is fast approaching! 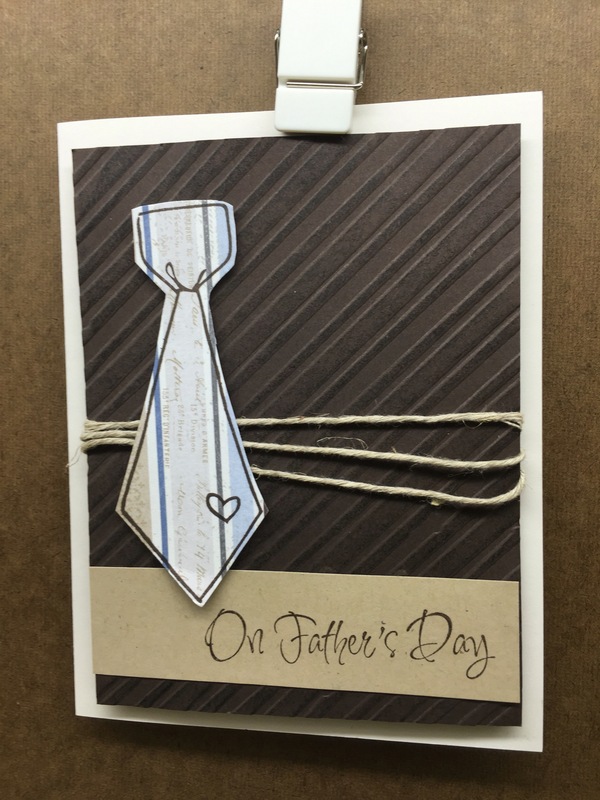 Father’s day is coming! 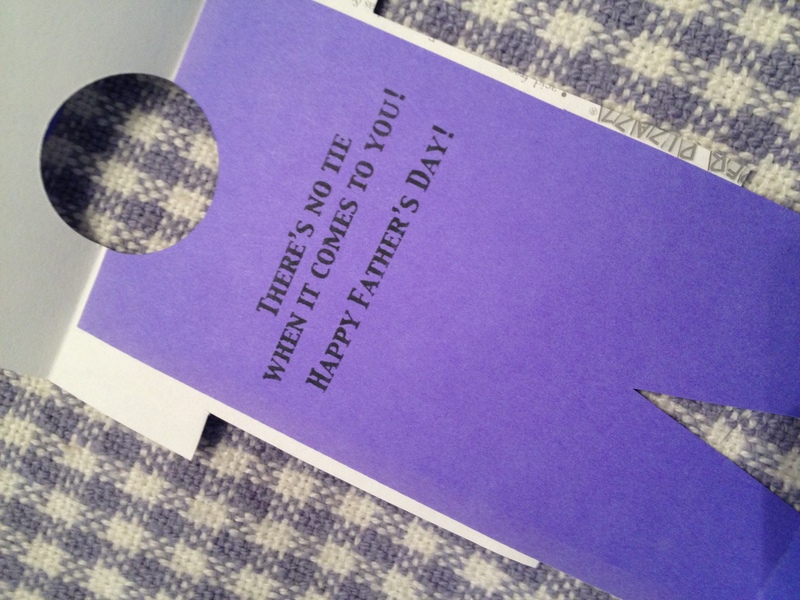 Here’s a great way to wish that #1 guy a happy father’s day. The nice thing about the rest of the stamps is that you can use them for birthday too! We have arrived in Syracuse, NY and we have awesome internet! How did we live before internet? 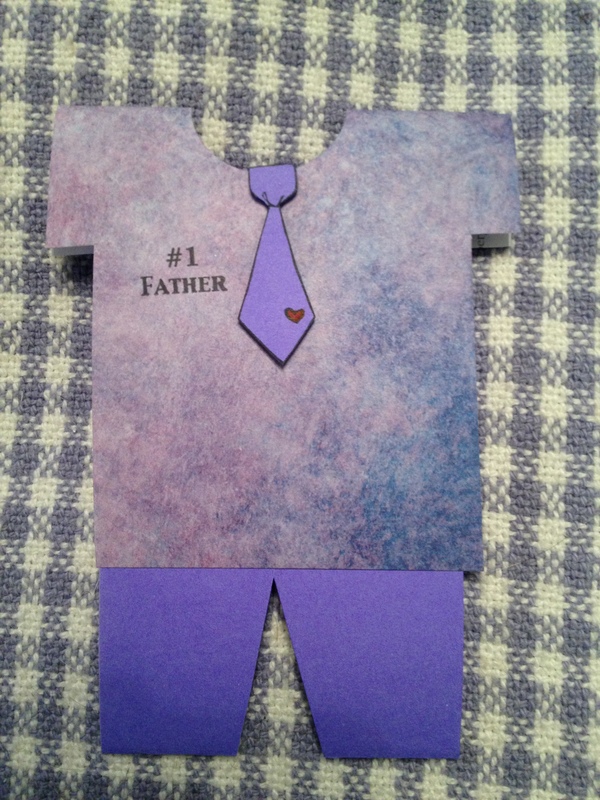 Here is a really quick Father’s day card. 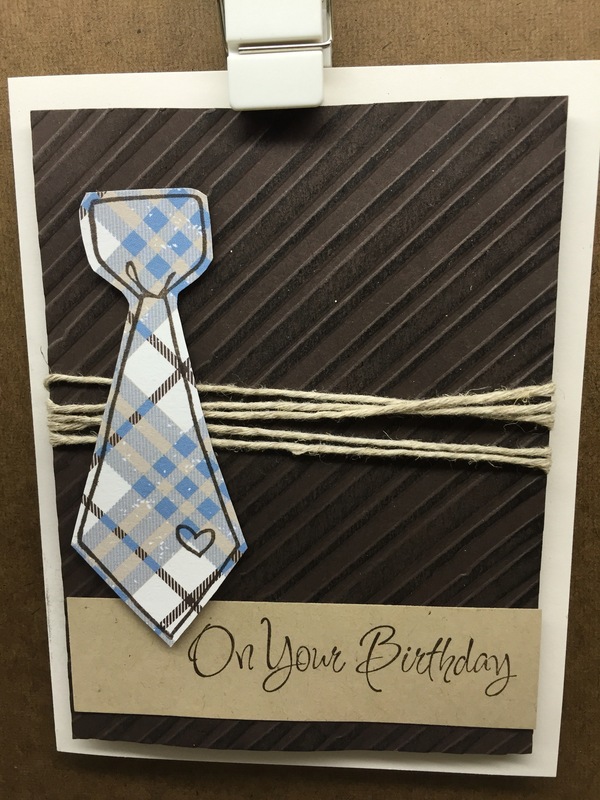 This card can be made in under 15 minutes which doesn’t seem like long at all when some cards take an hour or longer. 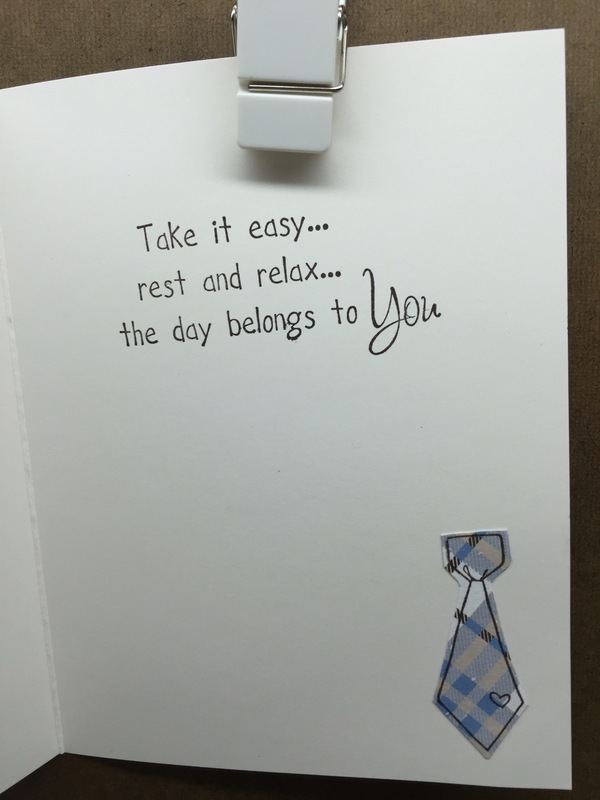 This is great for when you wait till the last minute to get a card made. But as Sonya says, “If you wait till the last minute, it only takes a minute.” 3D dots were used to add another dimension. 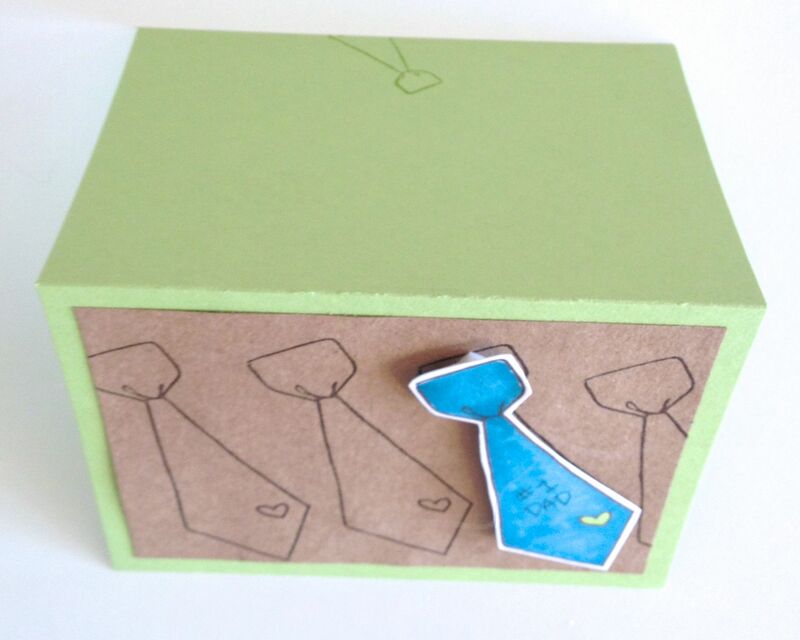 Copic markers were used to color in the tie. 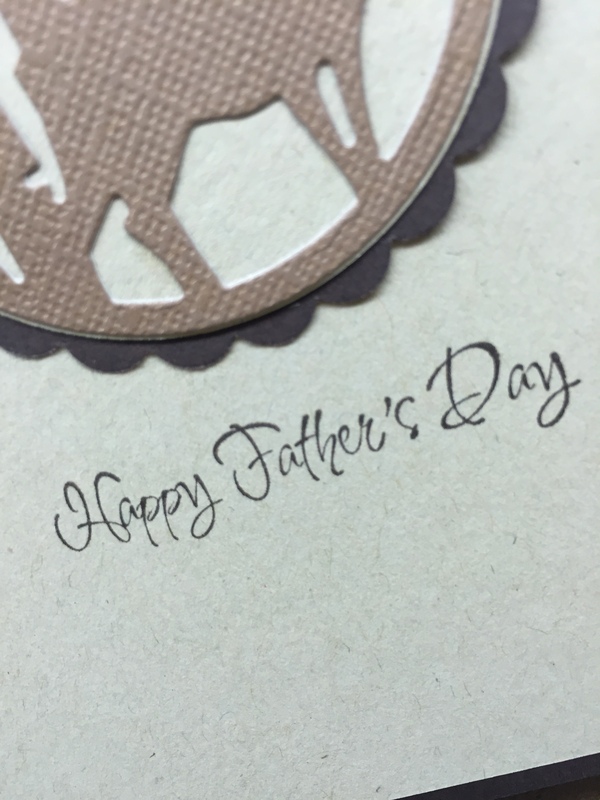 A signature/initials can be added by the little tie on the back of the card. Or a handmade by would be really cute. The weather is supposed to be perfect here in MN this evening so we are having a little gathering tonight to get some shish kabobs on the charcoal grill. Really excited! 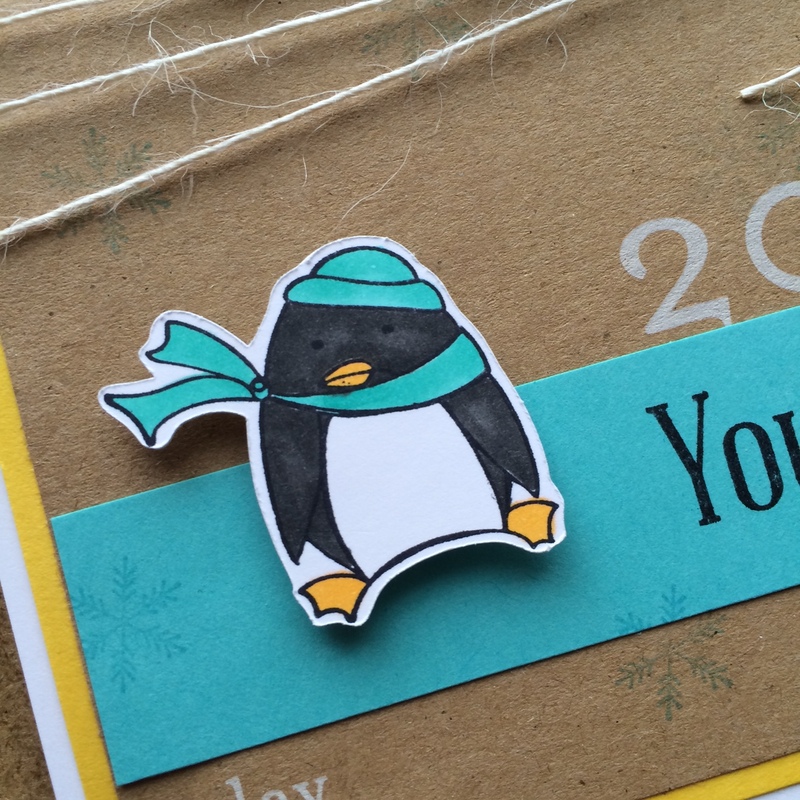 Hope you all have a fabulous weekend and we will be back on Monday with another card! Also, huge thank you to all who respond to the little survey! It is greatly appreciated and we will hopefully have something coming soon in the form of a catalog. Good Morning! 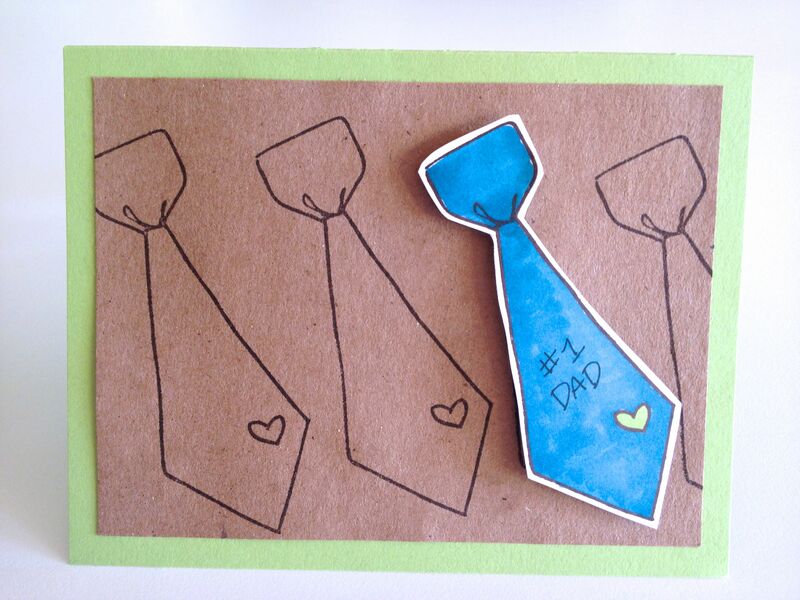 Here’s a Father’s Day card that was made by Becky from New York! 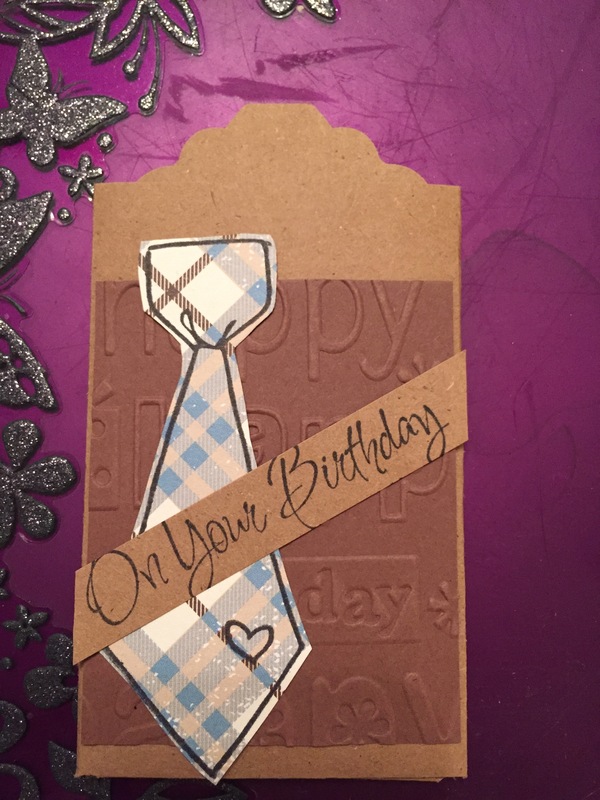 She often teaches classes at the Akron, OH This is one card from her class this year! Enjoy!